It was in 1935 that Rheinmetall-Borsig, working on the basis of a requirement issued by the German Army, embarked on the process of developing a new piece of thoroughly modern light artillery for service with Germany’s mountain infantry formations. The new gun/howitzer was to become the standard gun of the artillery batteries supporting such infantry and was, of course, to be of the pack type so that the entire weapon could be broken down into loads which could each be carried by a draft animal, most typically a mule. The resulting weapon entered service in 1938 as the 7.5cm Gebirgsgeschütz 36, whose unusual features included variable recoil facility and a large muzzle brake of the pepperpot type. 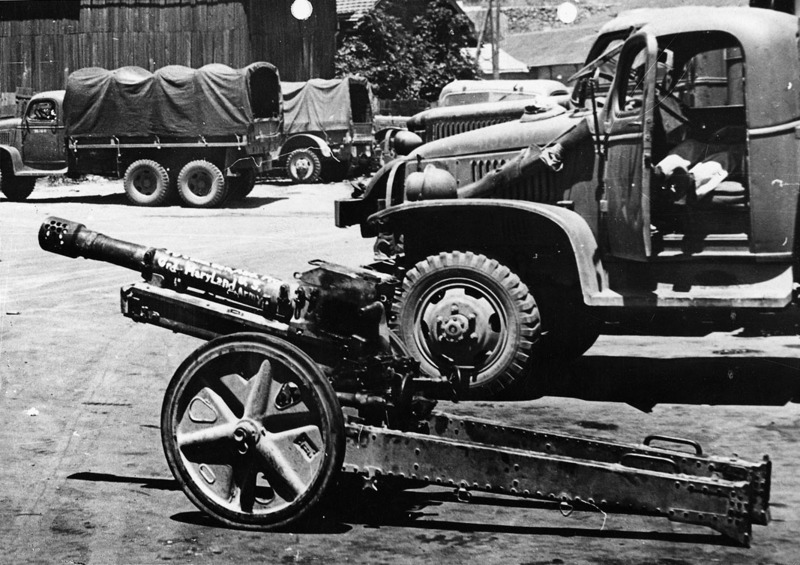 The Gebirgsgeschütz 36 could be broken down into eight loads, but service use soon revealed that the weapon was decidedly heavy for its role. Even so, the weapon proved popular with the men of batteries operating it as it was generally easy to handle and offered considerable stability when fired. The replacement for the Gebirgsgeschütz 36 was to have been the Gebirgsgeschütz 43 of the same calibre, for which Rheinmetall and Bohler offered designs. The Bohler design was preferred, but as only four were completed the Gebirgsgeschütz 36 remained in service to the end of World War II.